How Can I Train My Dog to Come When Called? This is the million dollar question many dog owners are asking. In fact, 40% of dog owners in the Big Dog Mom Community said that getting their dog to come when called is one of their biggest challenges. Step-by-step, force-free dog recall training. If you would like to achieve any or all of these objectives, you have come to the right place! Operant conditioning is behavior based training. Meaning, if and only if the dog does the behavior the way you want him to, he will get the treat. When the dog arrives at one of his people, he gets a small reward like a treat or a toy. This method certainly works. If it didn’t work, millions of dog trainers across the country wouldn’t teach “come” in this way. Getting a solid, reliable “come” when called, is not as easy as many dog trainers would have you believe however. All the past associations the dog has to the word “come” and their name. And as such, any, all, or a combination of these factors will influence how quickly (if at all) the dog connects the word “come” to coming to his owner each and every time. 2. Variables make a huge difference in operant conditioning. They make a difference in classical conditioning as well, but to a lesser degree. 3. Even the most simple command and behavior is made complicated by most humans. In other words, the more skill required in teaching a behavior to a dog, the more potential for error. Our timing is usually off and we don’t speak dog. These two factors make dog training both an art and a science. I just watched a video of a dog trainer teaching a puppy to “come” with this behavior-based (do it and I might give you a treat) operant method. On the surface, and based on Google’s top ranking of this video, this method was working. The adorable little puppy came when either of his people called him and he seemed super excited to do it. Training sessions were fun. Treats were used. All good? With each iteration of the puppy coming to his owners, they were seemingly overwhelmed by his cuteness. Because every time the puppy “came,” the owner would tousle his head all over – from the top of the puppy’s head to his chin while slightly restraining him to continue the playful petting. From the human’s perspective the puppy seemed happy. Every time he came, he got his reward and some playful petting. What’s not to love about that? None of the humans in this popular video, not the dog trainer or either of the puppy’s owners, recognized that the puppy clearly hated the playful petting. Every time one of them would grab his head, he would try to wiggle and get away. Because this puppy was “rewarded” with playful petting every time the owners asked him to “come,” my guess is over time this puppy will be less and less likely to come when called simply due to the restraint involved in the reward. I will also add here that on the few occasions this little puppy was hesitant to come, it occurred to me how often we mislabel that behavior as stubborn, not listening, or distracted. Like we discussed briefly in Front Door Greetings – How to Bring Order Back in the Midst of Mayhem, classical conditioning involves pairing something your dog has no feelings about with something he does. Classical conditioning has nothing at all to do with your dog’s behavior. But I want my dog to come! Isn’t that a behavior? Yes, this is true. But one of the most powerful ways to affect a dog’s behavior is by influencing how he feels. In other words, classical conditioning works by solidifying a reaction, a feeling, a response in the dog by pairing two things together. In this case, we are going to pair the sound of either the word “come” or the sound of a whistle with treats. We are pairing the two, not rewarding a behavior. If this is confusing, stick with me. There are several enormous benefits to using a classical method to teaching your dog to “come” when called. 1. Think of this method as the “Teach your Dog to Come For Dummies” approach. The reason is you can teach come using this classical method with your eyes closed. It takes no talent, no formal training, no special skill and literally nothing other than treats to teach. 2. This method takes all of the variables out of the picture. All of the things that could potentially affect how quickly or solidly your dog learns the word “come” are eliminated. Factors such as your timing of the treats, what you do or don’t say in the process, or even how you treat are less influential. 3. The conditioned response is not easily broken or changed once it is in place as a result of pairing the conditioned stimulus (whistle or “come”) with the unconditioned stimulus (treats). Both of my boys have a conditioned response, an emotional connection, to our freezer drawer opening. Every time the drawer opens, they come running to get ice. There is no command. I never actually taught them to do this behavior. They just do it. Because by me giving them ice a few times directly after that drawer opens, they now believe every time they hear the drawer, ice will follow. They now have an emotional reaction to the sound of the freezer that, whether they actually receive ice or not, is unwavering. And this response or behavior is so solidly in place that they can be in a sound sleep, have guests over with a million other distractions, other dogs in the house, and yet, when they hear that freezer drawer, both dogs come running into the kitchen. THAT is a conditioned response! The following is a step-by-step process for teaching your dog to come using a classical conditioning method. Decide what you want to use as your conditioned stimulus. So this can be the actual word “come,” saying “Junior, COME!” in a very specific way, a whistle, a clap or anything else you want to use as your cue. You want to pick something that is distinctive and loud so that your dog will be able to hear it from a distance. I am going to teach you this method using a whistle since most dogs already have an association with the word “come.” But either way will work. The key is to be consistent. Stop barking and dog obdeience. Train your dog quiqly just by simply pressing the clicker and command. Well constructed and durable, metal clicker will not rust or break. Big button for easy clicking and loud sound. Easy to use in any position. Decide on what type of treats you will use. Larger chunks will work better than tiny treats, and soft high value treats will be better than kibble. Consider ½” cubes of cheese or chicken or chunks of hot dog for example. Have these treats on you, but out of sight to the dog. You do not want the dog focusing on the treats. The more the treats are a surprise to the dog, the better. Remember, we aren’t rewarding a behavior. You are simply pairing the treat with the sound of the words “Junior, COME!” or the whistle. While your dog is eating the treat, walk a few feet away and blow the whistle again. Again, right after blowing the whistle, drop another treat on the floor by your feet. Repeat this quite a few times until it is very easy for your dog. Practice in different rooms and outside in a confined area. Context is important so vary when and where you practice this. Do multiple short sessions throughout the day. When this is super easy for your dog, the next step is to blow the whistle (or say “Junior, COME!”), drop a treat at your feet then toss a treat about 5 feet away from you. Walk 5 feet or so in the opposite direction in order to reset your dog. This will require your dog to have to come a slightly further distance to you when he hears the whistle. This step adds complexity because before this your dog was only having to travel a foot or two to get the treat. This will solidify the conditioned response (your dog coming when called or when he hears the whistle). Pairing takes time and multiple iterations. Be prepared to spend a few minutes each day on this, with each session consisting of 5-10 repetitions. Enlist the help of a friend, spouse, or child to practice blowing the whistle and dropping treats. Vary the location and time of day for each session. You want your dog to have an immediate and emotional reaction to the sound, much like his reaction to the doorbell, treat bag or freezer drawer. 1. Avoid casual use of your recall word or sound. Don’t use the word casually in the same way as your official recall word. Or if you are using a whistle, don’t use that at any other time. You want your recall to mean something very specific every time it is used. You can say in a different voice “come here sweetie.” That use of the word “come” will be fine. You just don’t want your dog hearing “Junior, COME!” at any other time than when you actually want him to come and you are going to pay him (with treats). Learned irrelevance is when your dog perceives your cue or recall as meaningless. This happens when you call him at times when he is least likely to come. For example, when you are at a park and he’s off playing with another dog. Sure, you can try to call him, but the likelihood of him listening is low. A better choice in this situation is to physically go get him. Using lots of treats and a leash, you have saved your recall from becoming irrelevant. 3. Don’t poison the cue. Using your dog’s name (or this recall sound or word) for punishment or using it for activities that could be perceived as negative can taint the recall. For example, saying “Junior, COME!” then immediately leashing him to go home from the park. Or saying “Junior, COME!” then dragging him into the bath. You can definitely recall and do these things, but the vast majority of the time your recall should only be paired with treats and awesomeness. This is what will keep him coming back for more. Because I know many folks in the Big Dog Mom Community struggle with getting their dogs to come when called, I feel like I need to mention here one more scenario as it relates to poisoning the cue. We talked about learned irrelevance above and I said it would be better to physically go get your dog versus calling him when he is unlikely to listen. Sometimes what dog owners will do is call their dog and get frustrated when he doesn’t listen or he runs the other way. In a terrific podcast episode on reliable recalls from Dr. Jen of Dog Talk Podcast, she describes in detail how best to handle situations like this that can be incredibly frustrating to dog owners. In a nutshell, you MUST keep your cool at all times and remember what your goal is. You want your dog to come to you because he wants to and he loves to. If you express your frustration in any other way than with a “good boy” followed by a treat, he will very quickly learn coming to you is not as fun as he once thought. Because this conditioned response (your dog coming when called) is so important, you will want to PAY your dog EVERY time he comes when you use this command or recall. You want the reward for coming, especially as the distances and distractions get harder, to be awesome every time. 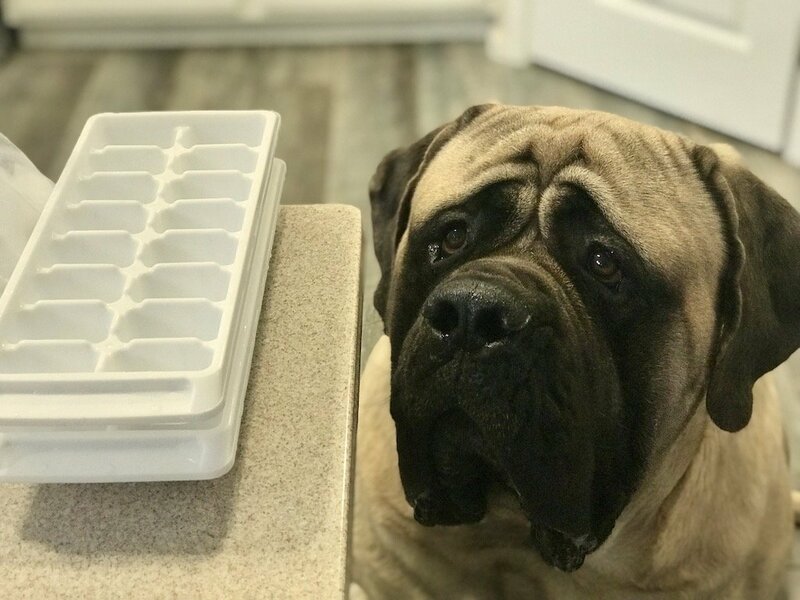 What do you think the likelihood is of my dogs coming when they hear the freezer drawer if I pay them with ice every time? How would your answer change if I only paid my dogs with ice 80% of the time? 50%? Hopefully you are starting to understand why that payout is so important. When it comes to training your dog to come when called and achieving a truly reliable recall, context is important. This means that reliably coming when called in the living room is not predictive of your dog coming when called in the yard or at the park. You will need to practice your recall in many different places, and in many different contexts in order for it to be a solidly reliable recall. Once your dog is reliably coming to your whistle or your call “Junior, COME,” you will want to introduce a variety of distractions. This can be in the form of another person in the room, various toys laying out, new and different sounds, another dog, etc. Basically anything and everything can work as a distraction so play with this. As the saying goes, there is more than one way to skin a cat. 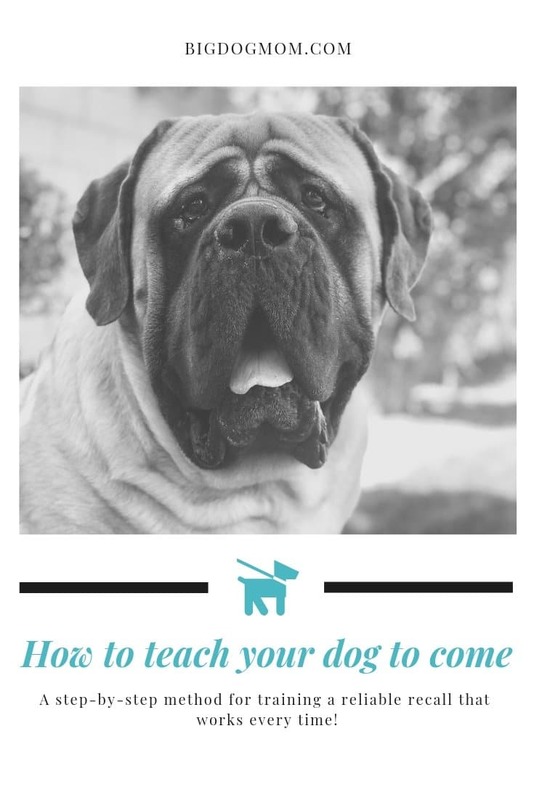 If you search for how to teach a dog to come, you will likely return many hundreds, if not thousands, of articles and videos of how to do this. And if you ask 10 dog trainers, you will likely get 10 different recommendations. This is the nature of the beast…. Literally. The classical training method outlined here and in the Facebook Live Workshop is but one method you can consider with your dog. I recommend you give it a try and let me know how it works for you and your dog! What recall training methods have you used in the past? 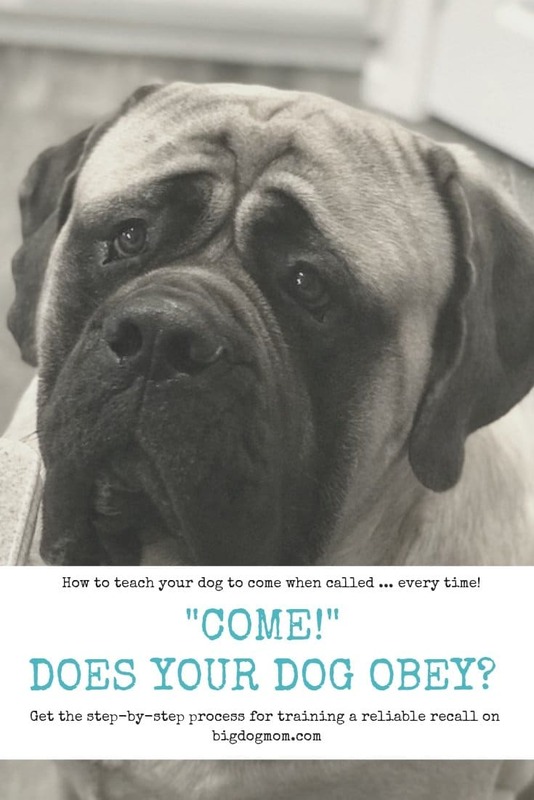 Have you been successful teaching your dog to come reliably when you call him? The following are a list of additional resources to take your knowledge of how to teach a dog to come to the next level! Reliable Recalls by Dr. Jen’s Blog Podcast – Dog Talk: I highly recommend subscribing to this Podcast! Previous Post: « Big Dogs are NOT Right for Everyone: Are you a Good Fit? Oh my gosh, this came at just the right time! We now live in a place where we need a rock solid recall. One of our dogs has it, but the other two couldn’t care less. I’m so excited to start working on this method, because it will remove all the problems we were having before. I think I’m going to get a whistle, by the way. Thank you, Stephanie! You are genius, my friend!! Aww, yay! I’m absolutely thrilled and can’t wait to see the progress you make on getting that rock solid recall! Keep me posted! I used this training method to train our dogs in our new house to come in every time I call them. It worked miracles, honestly! They can be at the back of our property and come running inside so fast, it’s funny. I love your ice cube analogy, that really helps clarify the technique. But I’m curious on your thoughts about weening them off the treats. 6 months later, I don’t treat every single time. My thought is that I won’t always have treats in my pocket. I love it, Debi! Thank you so much for your comment. To answer your question about weaning your dog off the treats, for a solid recall that is reliable every time, I don’t believe you should wean them off. For some behaviors, intermittent rewards make sense. But for recall, I think you should really try to pay your dog every time. This is particularly important when you are asking your dog to move away from something that is really enticing, a safety issue, or something that is going to take him a great deal of self-control to stop doing in order to come to you. I feel like the power of this method lies in the fact that the come is an automatic response, versus a behavior you are asking of your dog. If you stop paying the recall, it starts to lose its power.